All music producers get to the point where we start entering random notes in a vain effort to make a chord progression just like our favourite artists. But without the fundamental musical knowledge, it’s gonna be an up hill battle. Now more than ever our tracks need strong musical ideas and solid sound design just to make an impact. So now’s the time to learn music theory. Internet to the rescue! The piano is the best instrument to learn on, it makes music theory and chords a piece of cake. Playing just the white keys gets you C Major and A Minor right off the bat! You can see below that it creates a pattern in whole-tones and half-tones that is easy to remember if you think of the black keys between. All other scales can be made with this pattern, with the root being the starting note. A minor is constructed by playing the same keys as are in C Major but you start on A instead. Now we have the basics of scales we can derive the chords from them. Play any white key, then skip one to the right, and then skip another and you have a triad! This triad pattern gives you three major chords, 3 minor chords and one diminished chord, a chord for each note in the scale. C-E-G gives you a C Major triad, and A-C-E gives you an A Minor triad. The are lots of ways to jumble up triads but as long as you play each note they will work in your song. 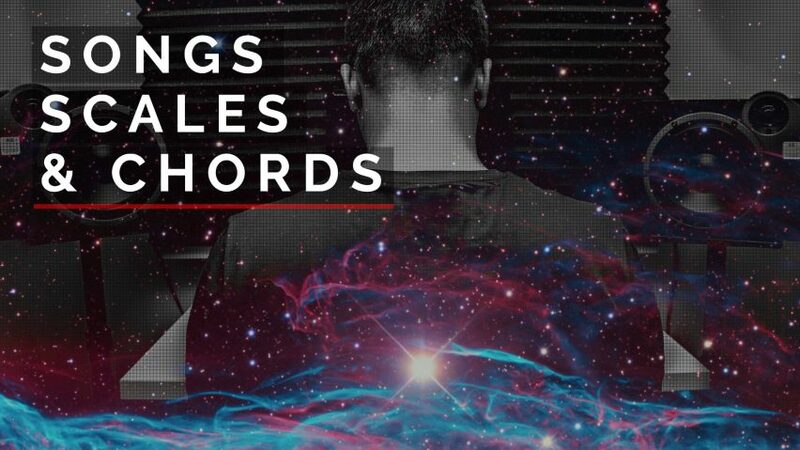 More complex chords are only extra notes or replacements of notes in the triad. For example a C Sus 2 is C-D-G, all we have done is drop the E that makes the chord major and added in the 2nd note of the scale D. Then a C Sus 4 is C-F-G, where we have dropped the E for the 4th note in the scale F. This makes 7th, 9th, 13th chords a breeze. A diminished chord takes the 5th note of the scale and takes it down a half-tone, C-E-Gb. The Gb is outside the C Major scale but this chord shape happens naturally on the 7th note in the scale B diminished, B-D-F. Augmented takes the 5th note and sharpens it, for example, C-E-G#. You don’t need to is the short answer. While it’s better to know exactly what chord your playing you can use the technology built into your DAW to help you out. You can compose entirely in one key like ‘A Minor’ and use midi pitch to shift to a key, it’s not cheating! Even Roger Troutman played in the same key for all his songs like ‘California Love‘ & ‘More Bounce To The Ounce‘ and transposed his keyboard for each. Guitar players use the same trick in the form of a capo, to shift the key without learning new chords. If you truly want to learn how to write songs you’ll need to play other people songs. I can’t play piano? As producers it’s very hard to learn how songs are written and we often resort to recreating our favourite songs to learn new things but it’s a slow process compared to playing an instrument. I recommend the Hook Theory website as the best way of learning deeper. It also simplifies songs through it’s interface. You can boil any popular song down to it’s building blocks verse, pre-chorus, chorus & bridge. Then each chord is displayed with the main melody above. Better yet it lets you edit the chords & melody of any of those songs …and all for free. The algorithm used on the site guides you. It can recommend the next chord to use based on other songs in the database. 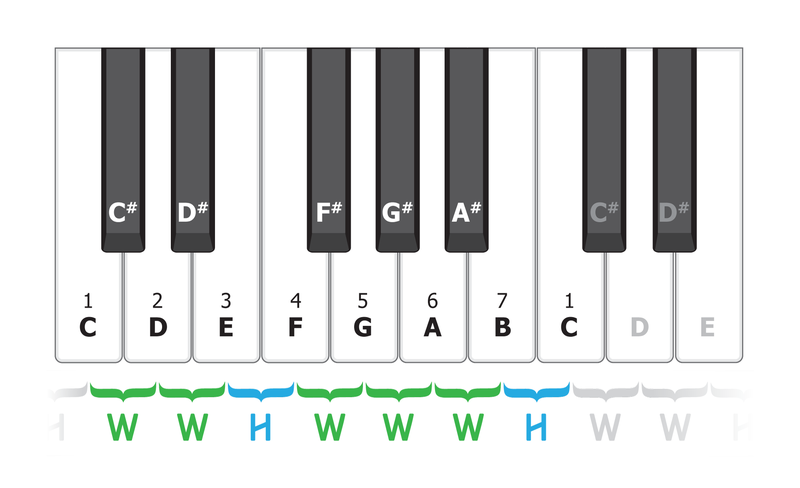 It even can suggest chords that use notes outside the scale to add tension. They also have playback from youtube videos so you can hear the chords in context. You can also use the built in sounds and export the tracks as midi files for your DAW. I love how easy it is to dissect a track and put similar things into your songs. The melody that rides on top of all chords is almost as important as the chords. This part is usually sung or played and is the difference between a track and a song. You should always aim to write songs and think about your music with these two parts at the forefront. Take time to absorb as much as you can about music theory it’ll help you write better music quicker.